We are more than half way through tour and it has been going so wonderfully well. Unfortunately, I have been so busy that I have not been able to update you guys about it until now. Today we are on our way from Phenonix, Arizona to Amarillo, Texas, a twelve hour drive. I really love long drive days on the tour bus because I can get a lot done! Unlike the tour we are currently on, our tours are usually comprised mostly of performance bookings. This laid-back 18 day south western tour consists of only 3 performances and many more workshops. When I am not scheduled to teach and there is no performance, those days become free days! It is quite a treat to have a few days off sprinkled into our busy tour. I have only been scheduled to teach five times during this tour, but even those days are still more relaxing compared to performance days which are typically an all day process. We all agreed that the pace of this tour, due to all the workshop bookings is quite enjoyable, but I had to laugh when our boss Kieth said "Well, if we keep up at this pace... we will be put out of a job!" So I guess we better enjoy this tour full of workshops while it lasts. So far we have had one performance of Deliver Us in Ft. Worth, Texas at the Scott Theater. In Dallas we held some workshop dance classes at First Baptist Dallas through their school of the arts program. I taught a creative movement class to 7-12 year olds. 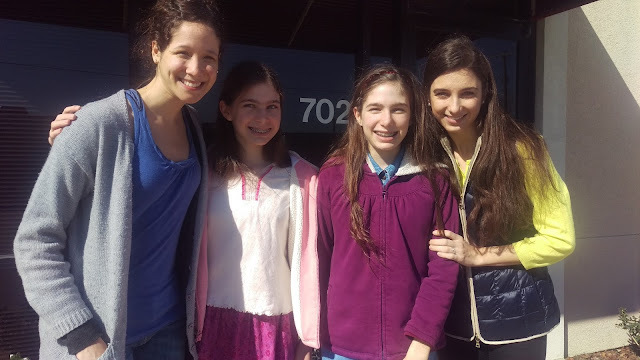 Next we passed through Mckinney, TX and held some workshop classes there as well, at the Texas Youth Ballet Conservatory. Since I didn't have to teach in Mckinney, I enjoyed my days off relaxing with my host family. The Texas Youth Ballet is one of my most favorite ballet studios across the country that we have worked withed. I have taught at their studio in the past and their students are so diligent, hardworking, and have an excellent foundation of strong clean ballet technique. Even though I didn't get to teach there this time, one of the highlights of being in Mckinney was when I got to reunite with some old students/friends I made last time our company visited. We then headed to Lubbock, Texas where we held a three day workshop that I did not have to teach or be involved with. We worked with an organization called Christ In The Arts (CITA) and I was hosted by the founders and directors of CITA during our time there. They were very hospitable and accommodating. They told us that there was not much to do in Lubbock but that they were willing to take us anywhere we wanted to go. We ended up finding ourselves content with just chilling and hanging out around the house, talking, taking naps and cooking. We also watched some DVDs of the dance productions that they have put on in the past. I thought they were phenomenal, entertaining and annointed! I was extremely impressed by their talent, passion, and professionalism. 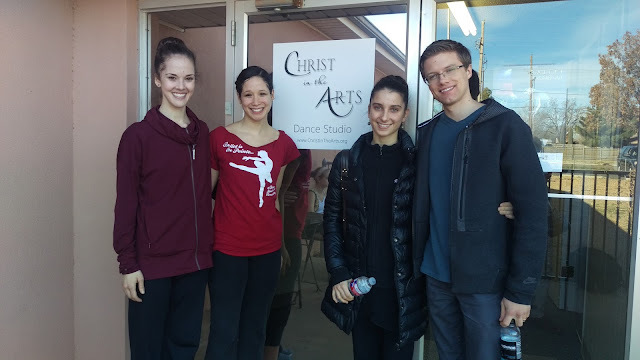 I had never heard of Christ In the Arts prior to us being booked there, but I had such a delightful time learning about them and getting to know the families and people there! All of their kindness and love is what made the experience so special! Christ In The Arts is another dance studio that has recently, also won a spot on my list as a most favorite studio that we have worked with. Way to go CITA! Next we continued our journey west to Albuquerque, New Mexico. I SO enjoyed watching the scenery transform as I have never been so far west before! While traveling I took hundreds of photos of the landscape, though in the end they all seem to resemble one another. I have included a number of the photos below. At the National Hispanic Cultural Center in Albuquerque, we performed Stratagem for only the second time this whole season; It went well. I fell in LOVE with Arizona, where we went next to teach workshops at the Experience Arts School; I taught beginner ballet and a creative worship class. It was SO beautiful. America is SO beautiful. I knew it before...but now I know it better! ^_^ America is a wonderful diverse country both in its people and terrain. In Arizona I experienced many 'firsts'. First time seeing the desert, first time picking a fresh grapefruit from a grapefruit tree in my hosts front yard, first time visiting a Hillsong church, and first time seeing a sugaruo cactus in person. I LOVED IT! Be sure to check out the pictures I snapped below!